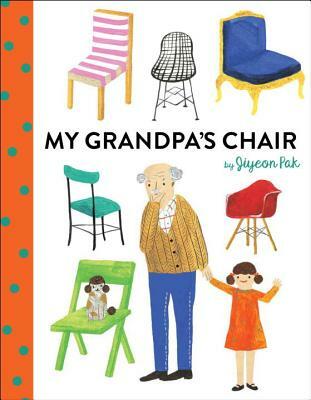 A young girl tries to help her grandfather find a new chair in this moving picture book about loss and how the love of family can warm even the most broken heart. Julie’s grandfather is looking for a new chair. But no matter what kind of chair he tries, he can never seem to find the right one. Some chairs are too small; others are too soft. Some are too hard, while others are too fancy. Just when Grandfather thinks he’ll never find the right chair, Julie takes him to a park. And there, Grandfather finally finds the perfect seat . . . and discovers that it’s not about the chair you sit in, it’s about who is sitting next to you. Jiyeon Pak is originally from Seoul, South Korea, and now lives in Baltimore, MD. You can find her at hello-jiyeon.com.